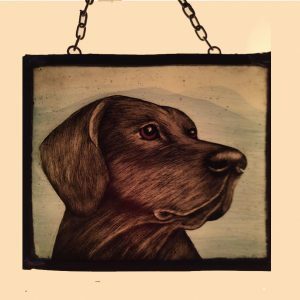 All our pieces are individually hand crafted. 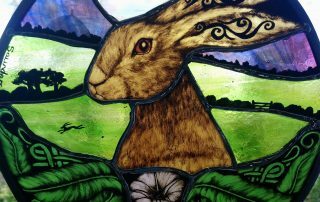 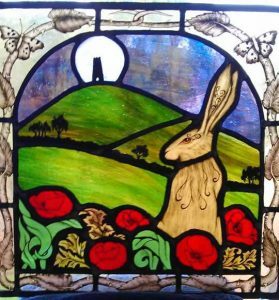 Christine has been studying stained glass for the past 14 years and works from her home in Somerset . 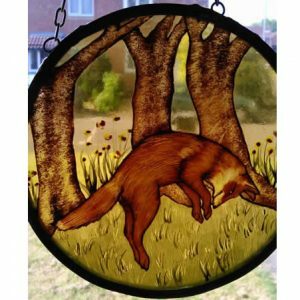 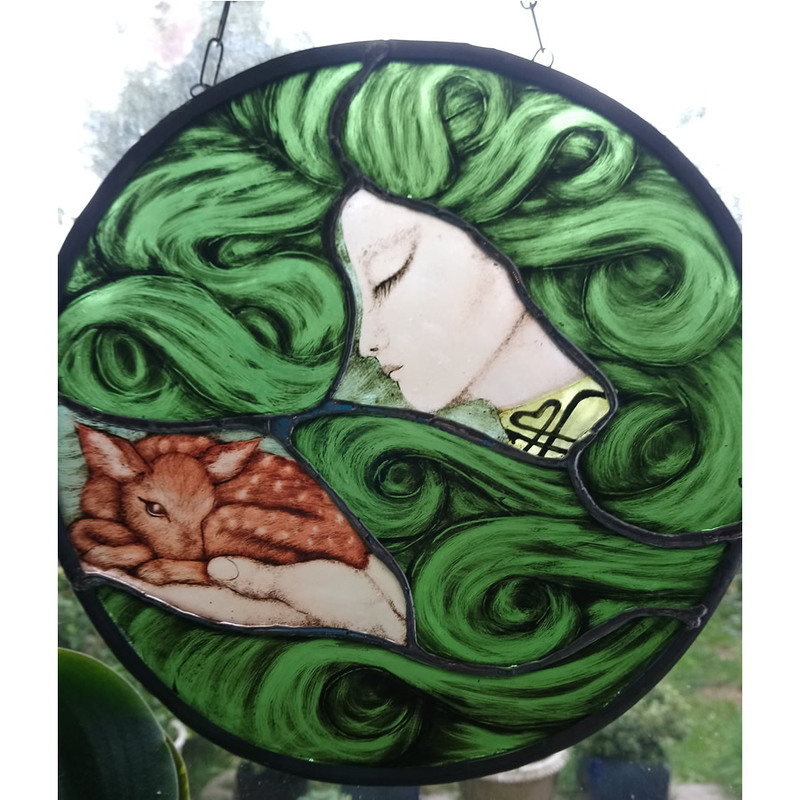 The magical , mystical and spiritual are always close to her heart , and uses her love of wildlife and animals to inspire her designs ,This helps her to produce a calming and peaceful piece of stained glass . 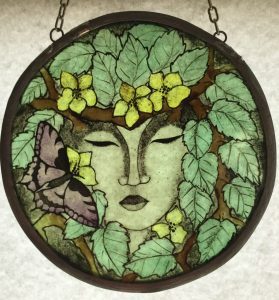 All her pieces are hand made and hand painted , then kiln fired . 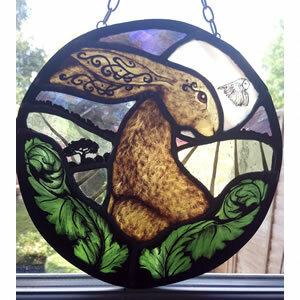 so each piece of stained glass is individual , though done from the same design , they all vary a little as no 2 pieces of glass are the same. 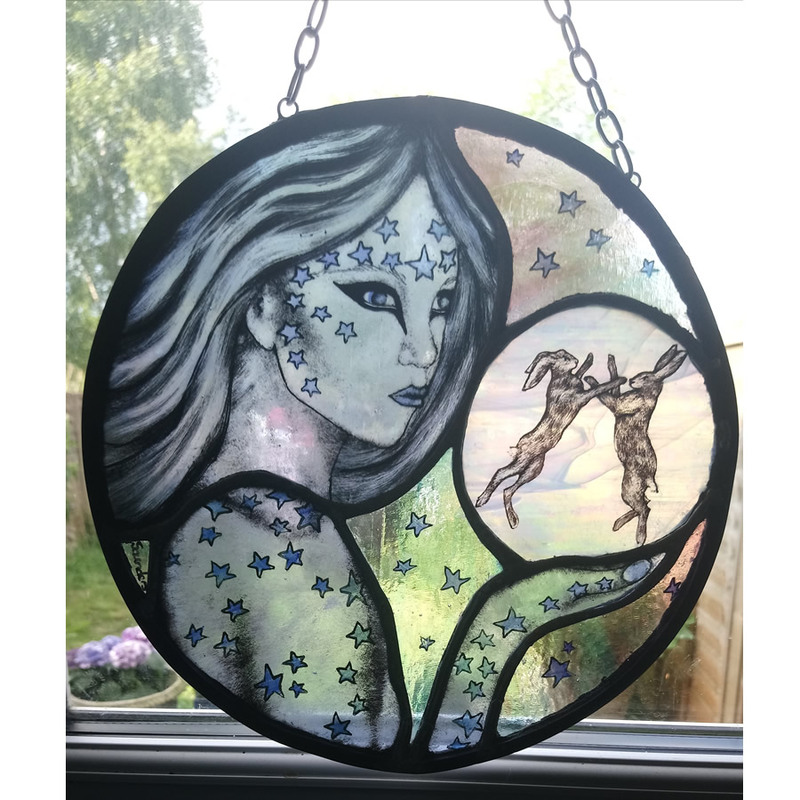 She usually makes each piece to order , but some smaller suncatchers she does keep in stock, if you require a piece urgently or have a question , please contact her as it will usually take about 3 weeks to make. 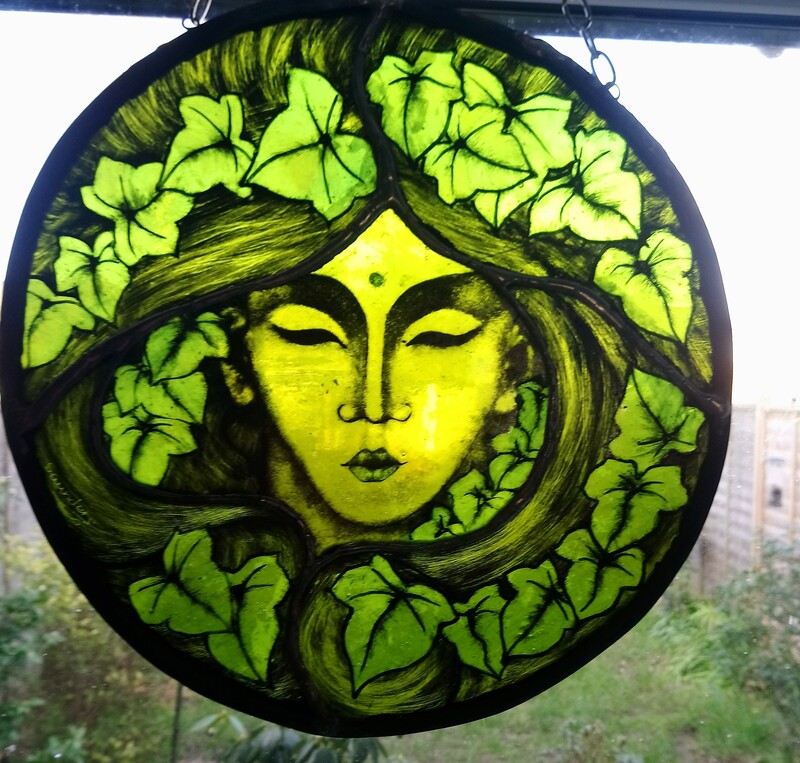 Larger commissions and panels will take longer to make, please contact me. 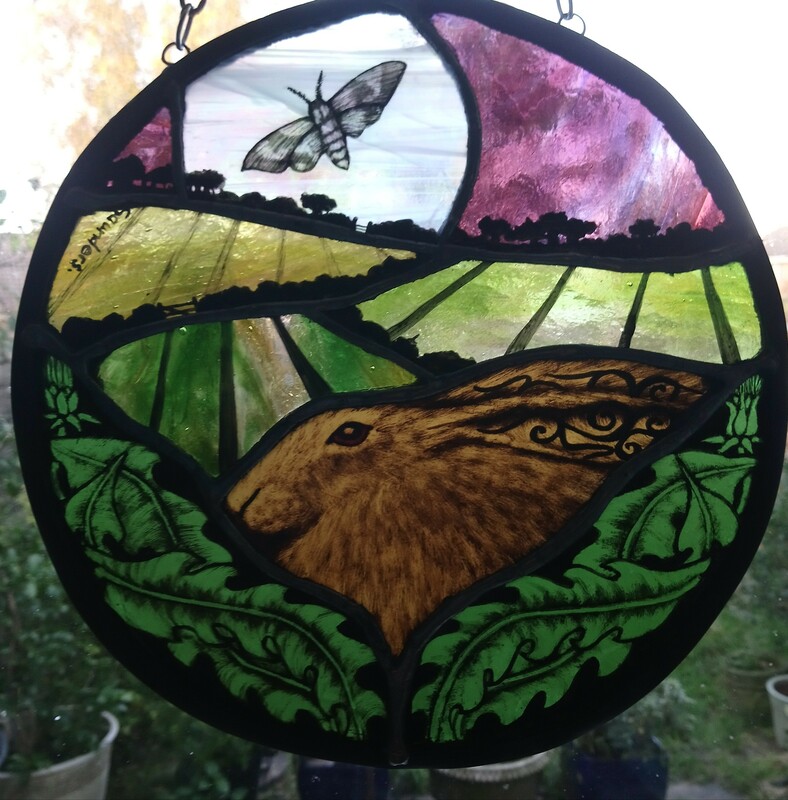 Moon Gazing Hare ,hand painted ,sat among the dandelions , a beautiful hawk moth ,flies across the moon. 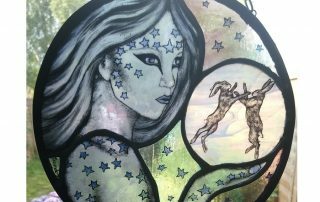 Lady Moonlight goddess, covered in stars she watches over 2 boxing hares , holding the moon in her hand. 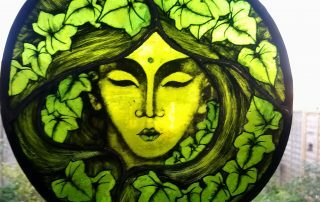 mother nature or green lady . 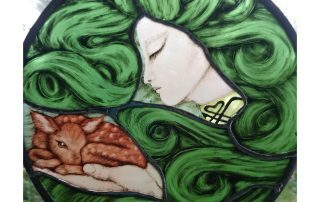 Gentle mother nature or green lady blessing a fawn , art nouveau style hair flowing . 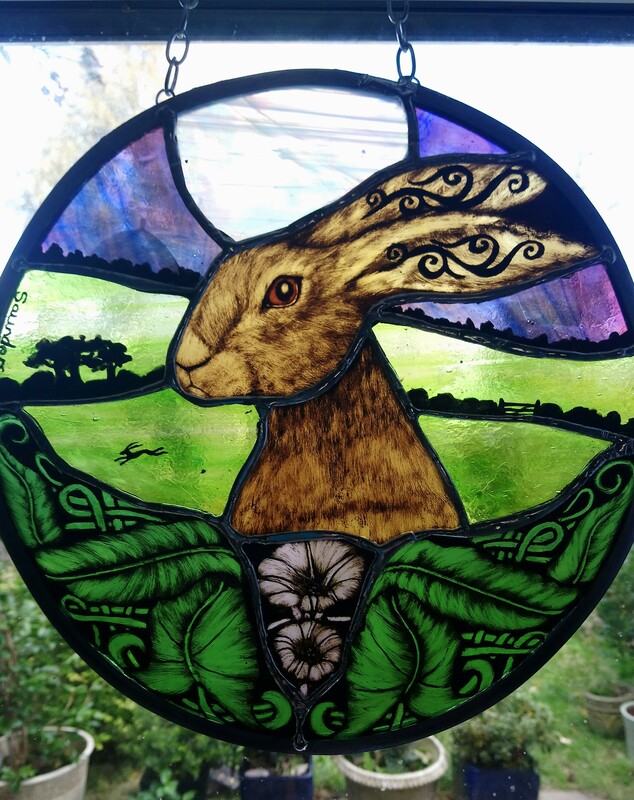 New Bindweed moongazing hare . 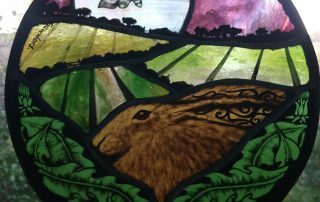 moongazing hare sit among the twisting bindweed watching the moon.